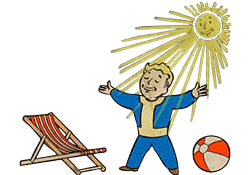 Solar Powered is a Perk in Fallout 4. It is associated with the Endurance Stat. Rank 1: Catch some rays! Gain +2 to Strength and Endurance between the hours of 6:00 a.m. and 6:00 p.m.